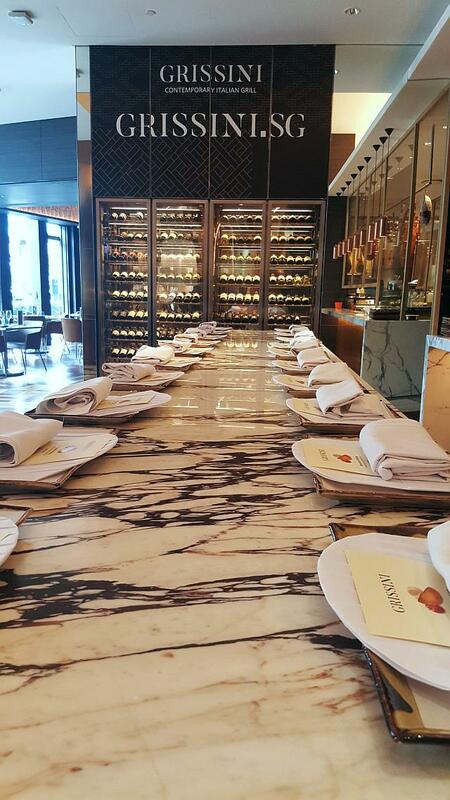 As one gets busy in de-cluttering and re-organizing our homes in time for the lunar new year celebrations, there will be a need for a comfortable and fuss-free environment to dine (after all the work is done, of course). 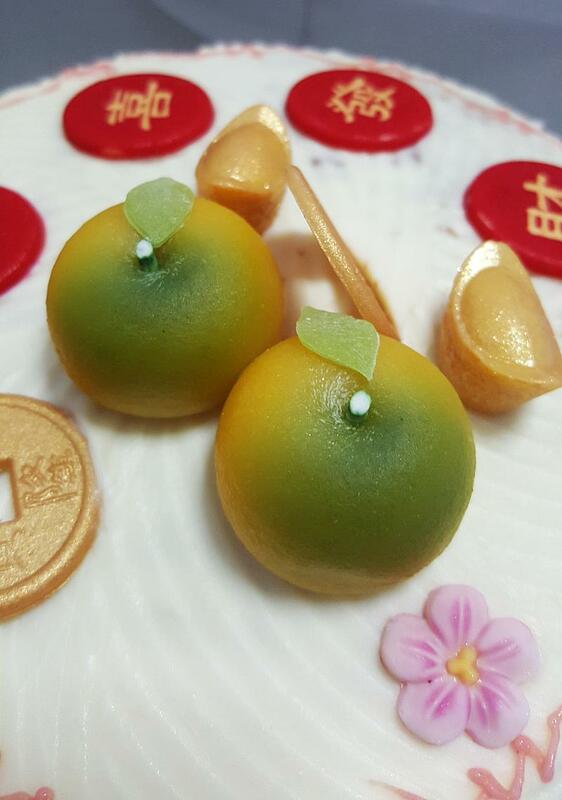 Ellenborough Market Café at Swissôtel Merchant Court has prepared a Prosperity Buffet for us. 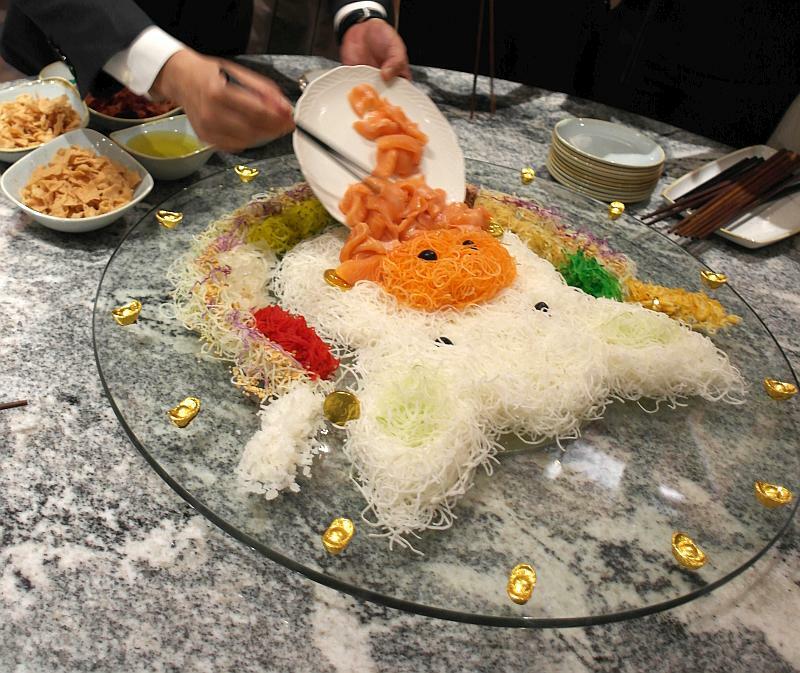 Enjoy a toss to good health, prosperity and happiness with their DIY Yu Sheng to celebrate new beginnings in the Year of the Boar. 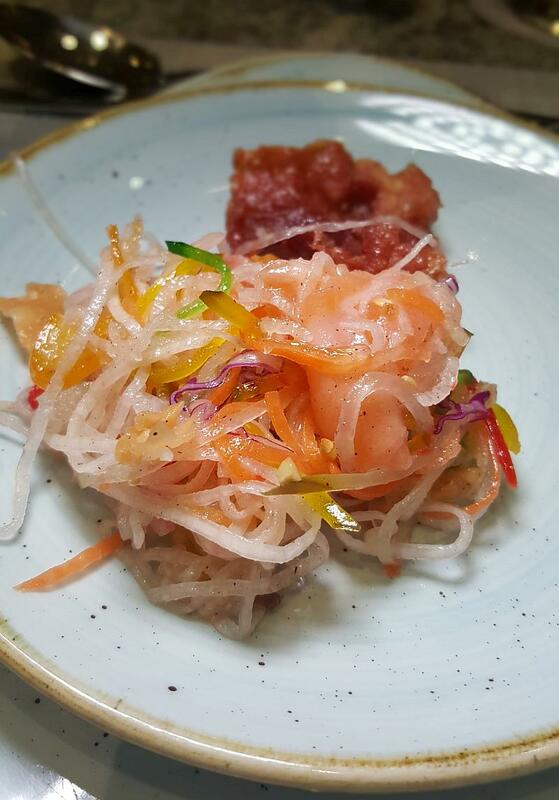 The Prosperity Smoked Salmon Yu Sheng is available for takeaway at $68 for a 10 pax portion. 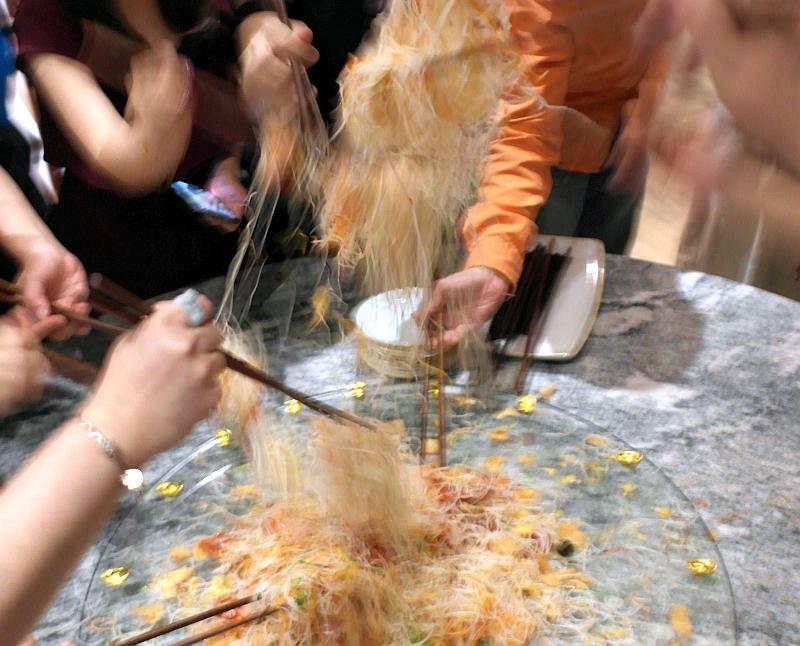 Kurobuta or Abalone yu sheng are available as well at $88 and $98, respectively for takeaways. 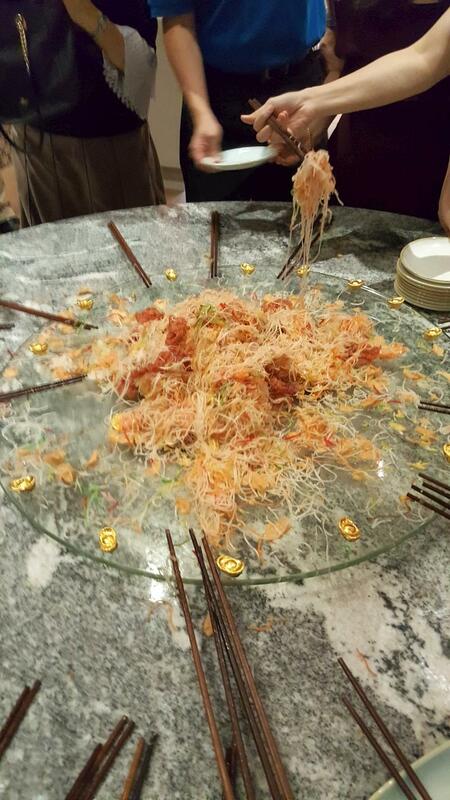 I like how the sauce for the yu sheng was just right. 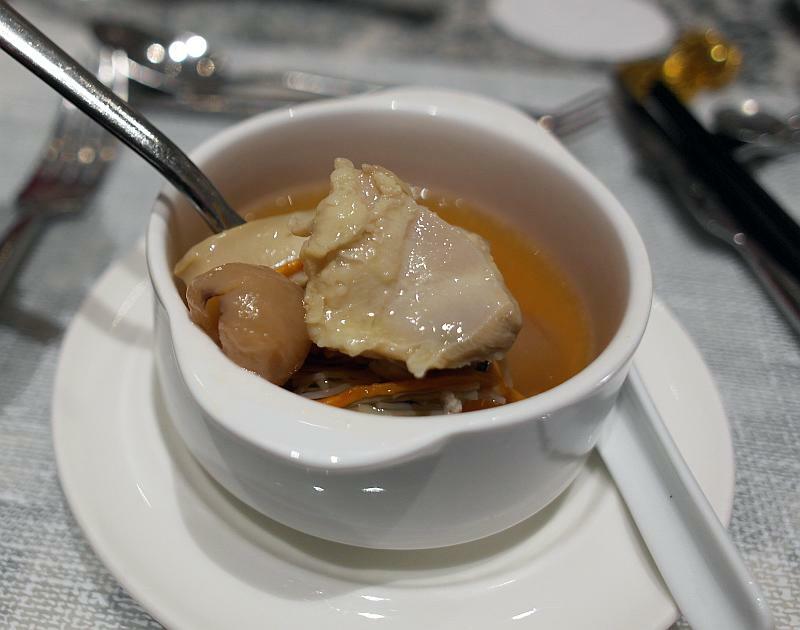 For something soothing to warm the tummy, we had the Double Boiled Chicken Soup with Cordycep Flower and Sliced Abalone. 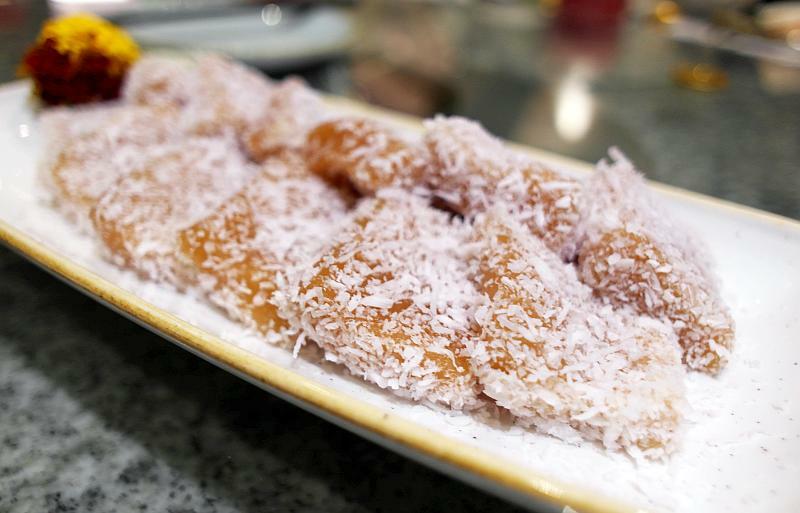 Feels nourished just by looking at the name of the dish. 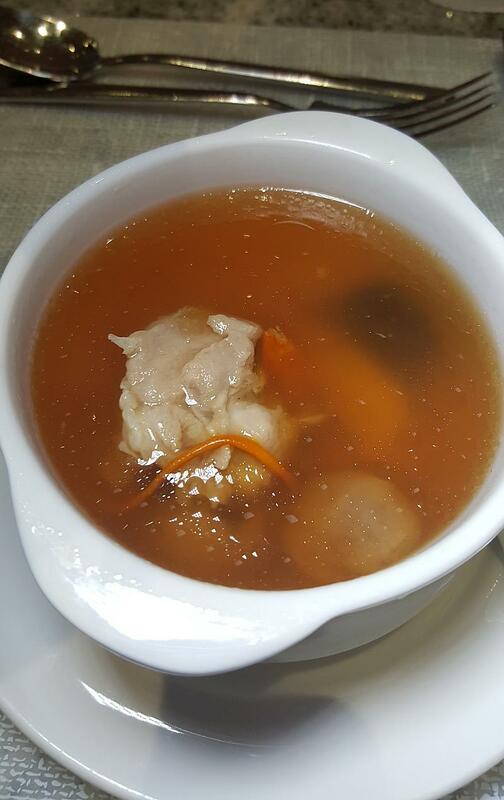 The soup was light, flavourful and had a homely feel to it. 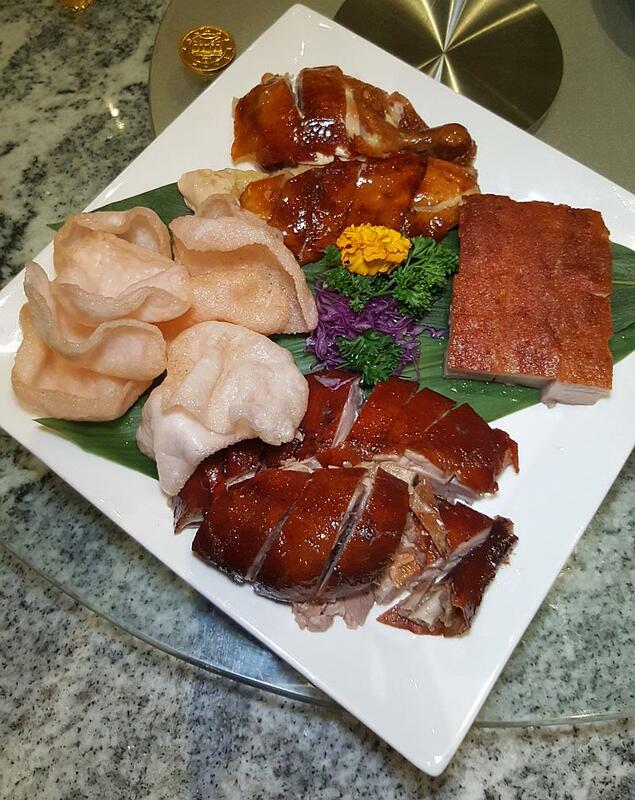 For fans of roast, be delighted by the Chinese Roast Combination Platter; Roast Chicken, Roast Duck and Roast Pork and served with a side of prawn crackers. Nostalgic feels. Roast pork (烧肉) should really be served in this thick cut manner. Only in this way, one could get that firm bite which oozes natural juice from the meat and that satisfying crunch from the crackling skin. 爽 (pleasurable). 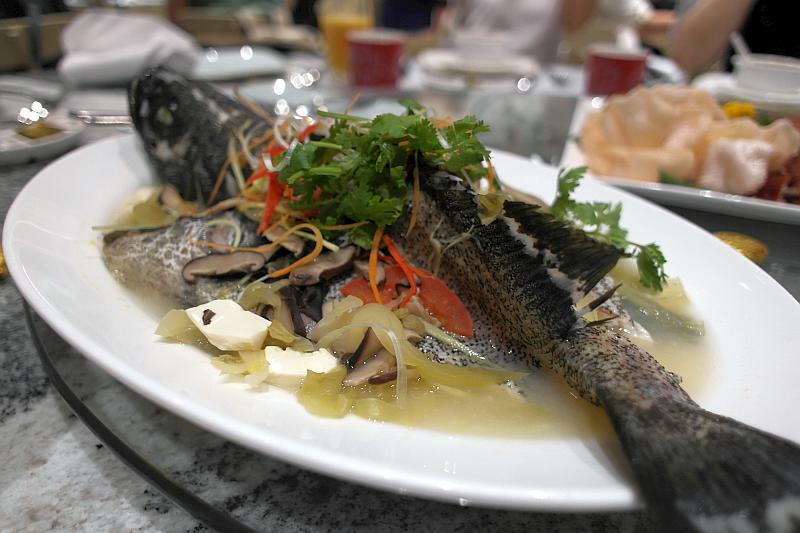 For our elderly who may prefer something lighter, I would recommend their Steamed Garoupa "Teochew Style". Oh so tender sweet flesh from the garoupa steamed just to the right texture. Sauce was so yums. 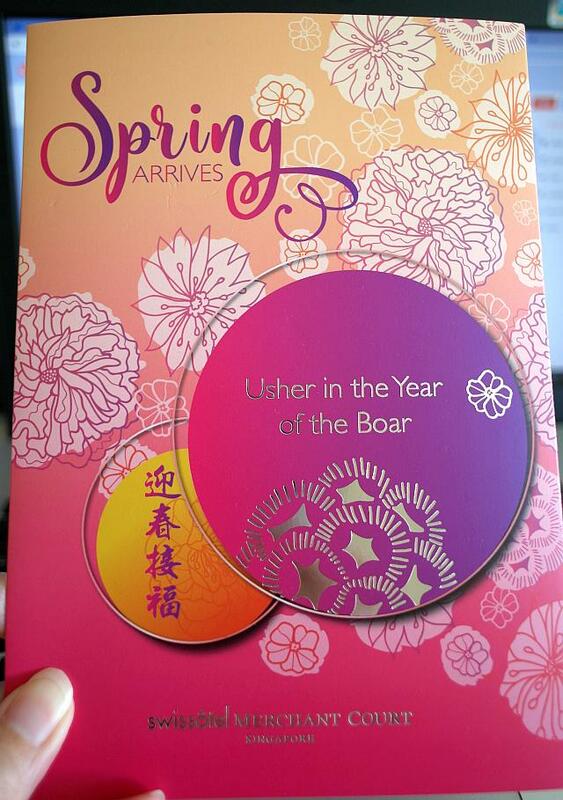 Now give me that bowl of fragrant steamed white rice. 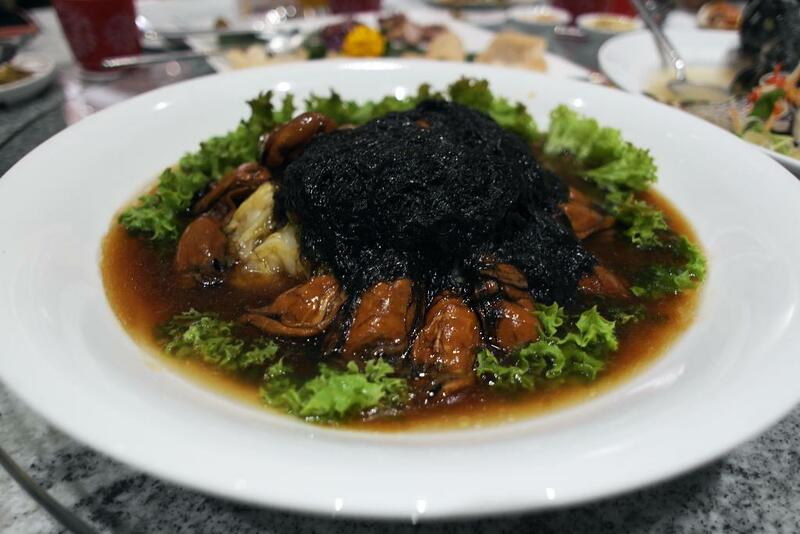 Another definitive or auspicious dish for Lunar New Year, would be the Braised Dried Oyster with Black Moss (蠔豉髮菜). 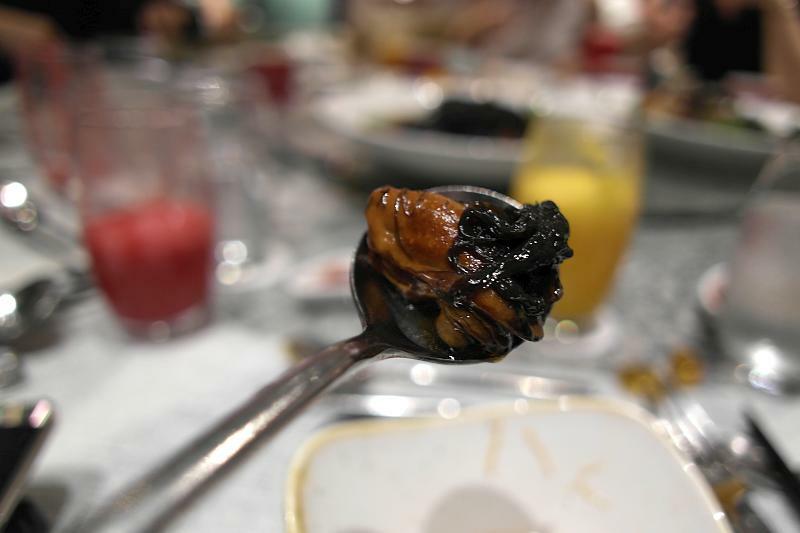 Those braised dried oysters were full of umami and such a plump one. 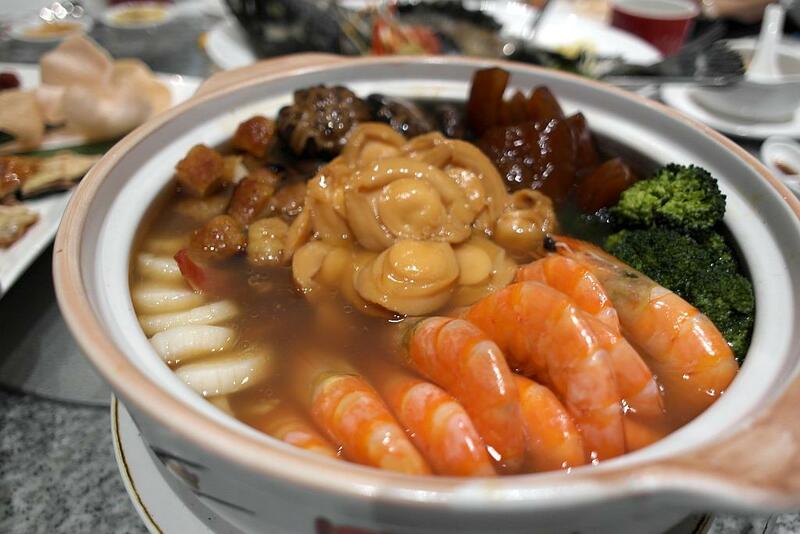 To luxe up the quotient, one could also order the Braised Buddha's Temptation Claypot for $428 (takeway). 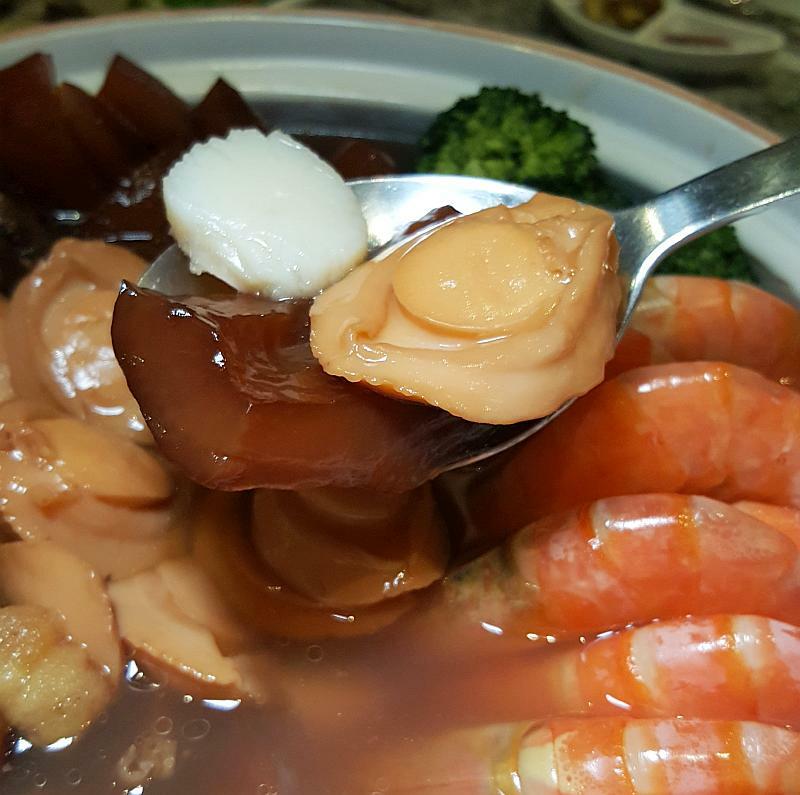 Light savoury broth, with overflowing of precious ingredients such as sea cucumber, scallops, abalone and prawns. Don't forget to aim for the vegetable in the pot as these have been thoroughly infused with the essence of all the ingredients. One vege to bind them all! 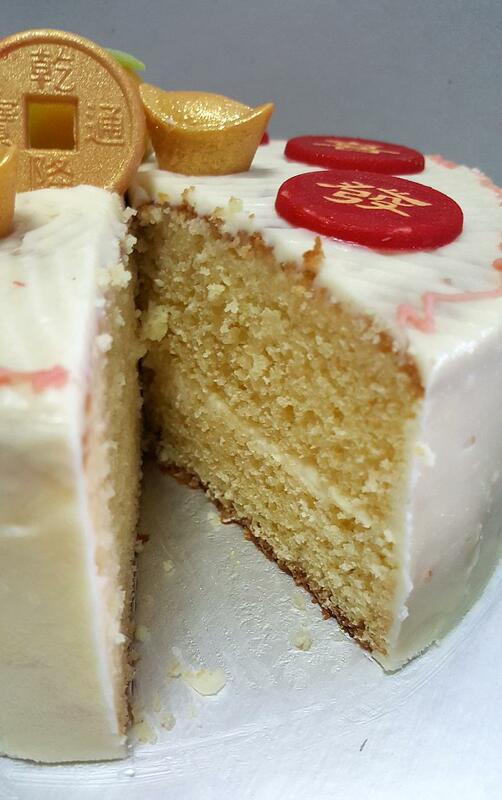 For dessert, the steamed nian gao in grated coconut and the orange pound cake would be befitting to the theme. 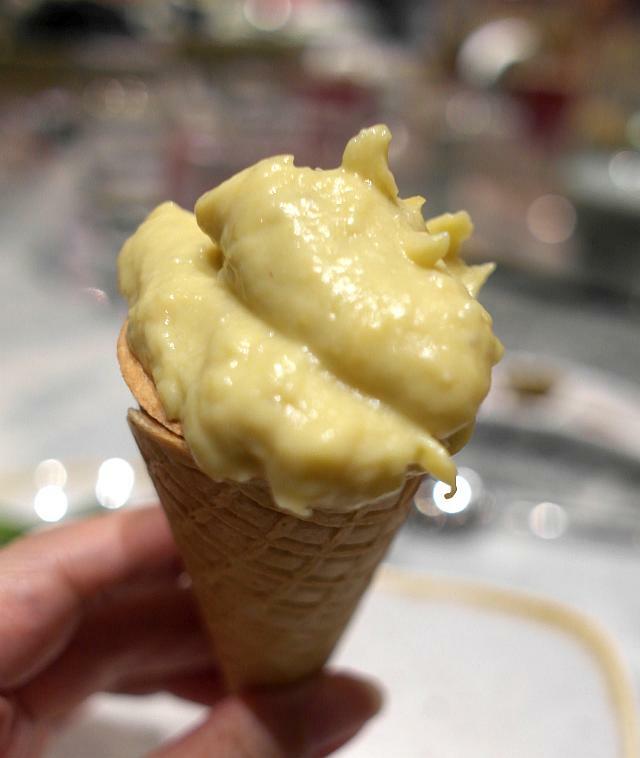 Of course, not forgetting Ellenborough Market Café's famed dessert, the durian pengat as finale to any meal there. 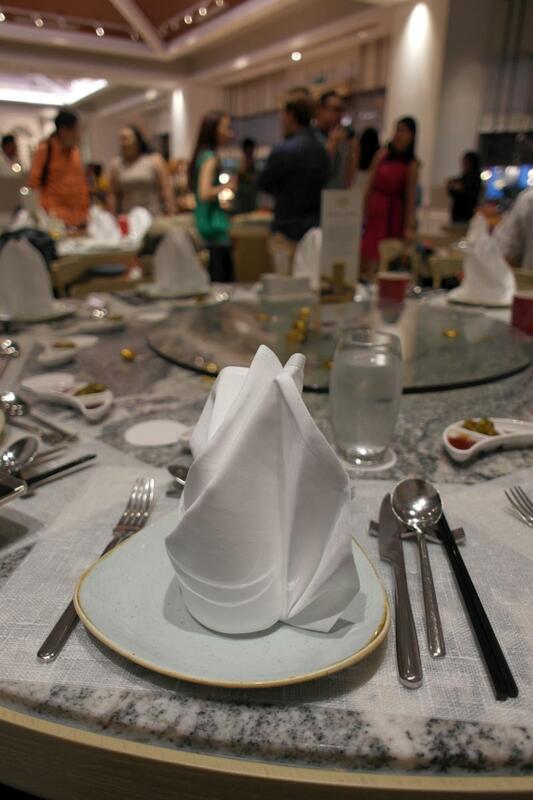 Thank you Ms Jennifer Yeo for the invite and Ellenborough Market Café Swissôtel Merchant Court for hosting the dinner. Thank you Executive Chef Louis Tay and team for preparing the feast for us. May 2019 brings us happiness and good health.